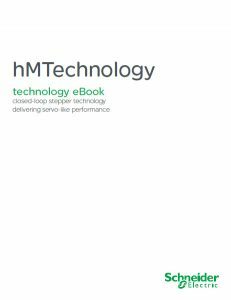 White papers, eBooks and Technology papers. 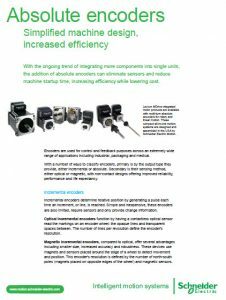 With the ongoing trend of integrating more components into single units, the addition of absolute encoders can eliminate sensors and reduce machine startup time, increasing efficiency while lowering cost. 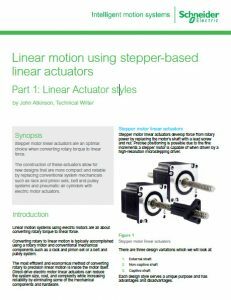 Stepper motor linear actuators are an optimal choice when converting rotary torque to linear force. The construction of these actuators allows for new designs that are more compact and reliable by replacing conventional system mechanicals such as rack and pinion sets, belt and pulley systems and pneumatic air cylinders with electric motor actuators. 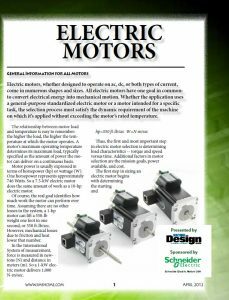 Electric motors, whether designed to operate on ac, dc, or both types of current, come in numerous shapes and sizes. All electric motors have one goal in common: to convert electrical energy into mechanical motion. Whether the application uses a general-purpose standardized electric motor or a motor intended for a specific task, the selection process must satisfy the dynamic requirement of the machine on which it’s applied without exceeding the motor’s rated temperature. Today’s rapidly evolving industrial climate demands machines that are compact, inexpensive and easy-to-use.The system integrator is placed in the position of providing the marketplace with machines that meet these criteria quickly. 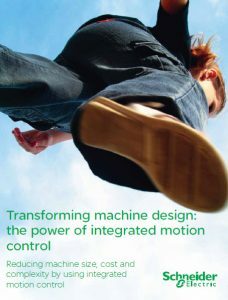 By implementing an integrated motion control solution, system integrators and OEMs can deliver more reliable machines that are smaller, more affordable and less complex. This can be accomplished with the added benefit of reducing their time-to-market. Today’s motion applications are requiring more precise control of both speed and position. The requirement for more complex move profiles is leading to a change from pneumatic and hydraulic controls to electric motors. However, even the simple electric motors used today may no longer provide adequate control. There are so many opinions about the meaning of IP ratings that it is, in a word, frustrating. The actual definitions are very black and white. Published by the International Electrotechnical Commission (IEC), and detailed by IEC standard 60529, IP ratings/Ingress Protection Ratings or International Protection markings classify and rate the degree of protection provided against intrusion (body parts such as hands and fingers), dust, accidental contact, and water by mechanical casings and electrical enclosures.